Sundance Resort is located in the Provo Canyon nestled just below majestic Mount Timpanogos. The resort sits at the base of gorgeous mountains, surrounded by trees, and is home to a winding creek running through the property. It is one of my favorite places to photograph weddings. 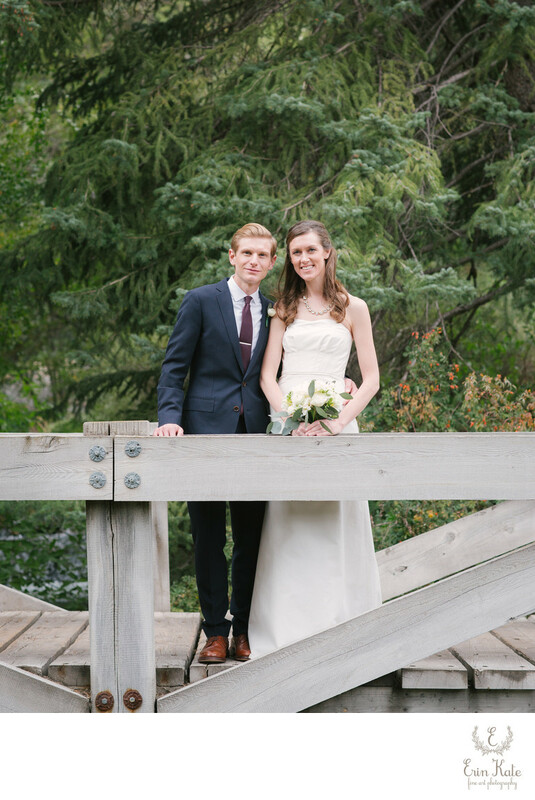 After spending much time planning their wedding, Blythe and Adam opted for an intimate elopement in October. Their previous plans included a larger number of guests at a venue near their home in Wisconsin but the more they thought about it the more they wanted something small. Sundance Resort became the perfect intimate destination for their nuptials. They were married surrounded by their parents and siblings and their two best friends who officiated. I began my photography coverage with Blythe getting ready in one of the local cabins. The couple opted for a first look which was followed by a casual photo session. We strolled the resort grounds for about an hour. There was a touch of fall in the air and the leaves were just beginning to change. The lovely couple said their "i do's" surrounded by towering pines. The Screening Room, with fireplace blazing, hosted cocktail hour and a delicious dinner. Blythe and Adam had one request for a photograph...to get a shot of them on one of Sundance's amazing bridges. This image was taken at the end of our session just before the couple joined the rest of their guests prior to their ceremony. To view a beautiful winter wedding at Sundance Resort click here. Location: 8841 N. Alpine Loop Road, Sundance, Utah 84604.